Navigation System Works For You! Some few years ago, the global position system also called the GPS were some almost fictional gadgets that only some few expensive cars and GPS handheld devices had. These were only left for the wealthy individuals in the society. Today, GPS devices have become popular. Despite their mystery, they are very simple to use. Today, digital electronics revolutions have made it possible for even those who are not wealthy in the society to possess these devices. They have done this by manufacturing different GPS devices. One GPS device differs from the other in the features they possess. Some of these features include voice recognition, real-time traffic data, and speed trap warnings amongst many others. The following are five of the best navigation systems that work worldwide. This device has nearly all the features you might expect in a GPS navigator. It has the voice recognition capability that is combined with the “where Am I,” that helps you to locate the nearest hospitals, gas station etc. without even getting your hands off the steering. Another feature is the multi destination routing, which makes it possible for the driver to combine several destination in a queue and find the right route to take the driver to all the destinations. The device also has a large 4.3 inches widescreen that allows the driver to look at the vehicle’s route in a 3D view. This GPS device also shows where you have been. It is installed with a trip log, which has an electronic breadcrumb trail that helps you record your route should you be interested in rerouting. In addition, a custom database allows the nuvi 880 to alert the driver when they are close to their pre-selected destination. The other normal features are the Bluetooth integration for hand free phone calling, an MP3 player, and a JPG picture viewer. Its only disadvantage is that it is quite expensive. It goes at $799. This GPS device has almost all the features found in the Garmin nuvi 880. However, it is priced a little higher than the latter. The “Cobra GPSM 4000 Nav One,” has a feature that offers voice guidance such that the driver does not have to take off their eyes off the road whenever they are driving. The other new feature here is a 5-inch color display and an optional traffic receiver which offers real time traffic updates to the driver. This includes accidents road closings and construction. These GPS device is priced at $999. This GPS device makes use of a one-touch user interface. Using this device, you can compile a list of several destinations then tap its entry on the touch screen. Its screen display is 4.3 inches and has an adjustable backlight, which makes the viewing easier. It also has a spellchecker that ensures you type the right spellings for the right destination. The other feature available includes the Bluetooth integration, an MP3 player, and an FM transmit or that streams audio to the cars radio. It also has an integrated AAA tour book guide which apart from listing the approved destinations; it can also contact AAA in case of emergency. The Magellan Maestro 4350 is priced at $499. These devices have a certain useful feature called Tom Tom IQ Routes, which calculates the fastest routes to particular destinations using historical traffic data and gives back the feedback on the total time that is going to take you to drive through that route. It also has an advanced lane guidance that carefully maps the changes in lane so that you will be able to know which lane to take in the upcoming turns. The instructions given are both spoken and displayed on the screen. It also has a Help Me emergency menu that displays the emergency services such as the police station and the hospitals. Just like the other GPS devices, it also has MP3 player, and an FM transmitter. The price of this GPS device is $531.99. The price of this GPS device is quite reasonable and affordable for most of the consumers. The Mio MOOV 300 can be purchased at a price slightly higher than $100 and has all the basic features needed to navigate around. Some of these features include text-to-speech ability, which gives it the capability of reading street names, a multi-stop trip planner and the ability to load new maps via a memory card. Its touch screen display is 4.3 inches and you can store up to 200 destinations on its favorite list. Katherine Newnhamis an avid reader and blogger. She is also fond of writing. Since her early years she’s had a passion for writing. Her articles have been published on several Blogs. She works as a guest blogger on her chosen areas of interest and currently writes on behalf of driving theory test. 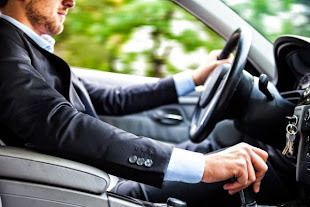 Thank you for reading Top Five Navigation System That Work Worldwide posted on the website Kwentology if you want to redistribute this article please include the link as the source. Have some kuwento to share? Contact us!